Imphal, September 13 2018: Regional Institute of Medical Sciences (RIMS), Imphal established in the year 1972, is celebrating its 47th Foundation Day on 14th September, 2018 . RIMS, Imphal has significant contributed in the field of medical science by imparting Undergraduate, Post Graduate and other courses, and catering to the health care needs of the country particularly North Eastern Region as a tertiary medical institution. The following course are offered in RIMS Imphal MBBS (100 seats / year), PG course in 23 disciplines (147 seats / year), M.Ch.course (2 seats / year), M.Phil Clinical Psychology course (6 seats/year), B.Sc.Nursing (50 seats/year), B.D.S. (50 seats/year), BASLP (Bachelor of Audiology and Speech Language Pathology) course (10 seats/year) . 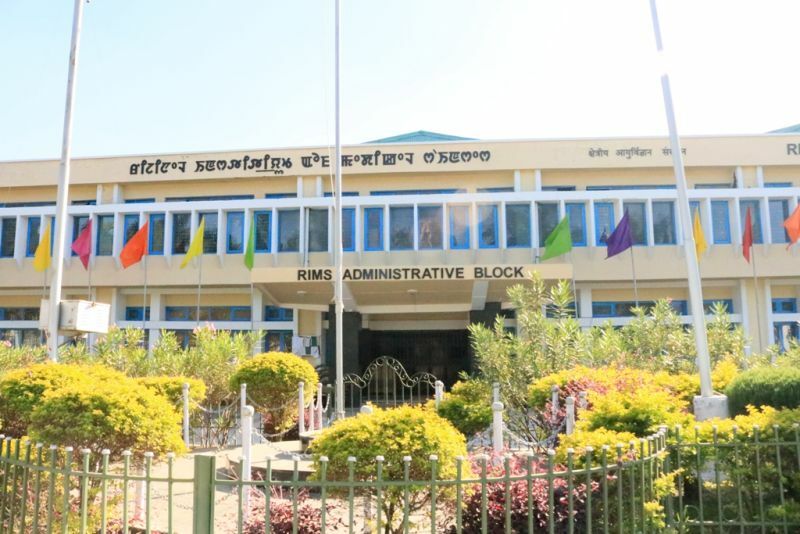 Cardiology, Neurology, and GIS & MAS has upgraded to full-fledged departments in 2018.RIMS, Imphal has catered to 3,95,527 Nos of OPD patients, Casualty - 1,21,236, indoor patients - 42,888, 7,245 (major) & 4,595 (minor) surgical operations and 11,645 deliveries were conducted in the last one year. A statement by Dr.R.K.Lenin Singh, Chairperson, Publicity Sub-Committee, of the foundation day celebration said that Smt. Anupriya Patel, Minister of State, Health & Family Welfare, Govt.of India inaugurated Digital Payment System in RIMS Hospital on 31st May, 2017 . The Ministry of Electronics & IT, Govt.of India has complimented and selected RIMS, Imphal along with AIIMS, New Delhi for interaction with the Minister Shri Ravi Shankar Prasad with persons availing benefits of e-Hospital for easy excess of health facilities. Under this program, Online Registration System (ORS) facility is available to OPD patients through website www.ors.gov.in. RIMS, Imphal is also implementing various schemes and programs of the Ministry of Health & Family Welfare, Govt.of India such as Janani Shishu Suraksha Karyakaram and availing Direct Benefit Transfer to the beneficiaries, it added. The statement also stated that the Chief Minister-gi Hakshelgi Tengbang (CMHT), Govt.of Manipur scheme is fully implemented in RIMS Hospital. This scheme is a pioneering health assurance scheme initiated by Govt.of Manipur which provides Rs.2 Lakh per eligible families every year. RIMS is prepared to implement Ayusman Bharat-National Health Protection Mission which will benefit upto Rs.5 Lakh per family per year.